Beauty boxes are little packages of girly delight! They contain a bunch of exciting products, from both luxury and upcoming beauty brands. And all this, at an irresistible value! The box usually comes with a mix of sample and full sized products and may just be the answer to your never-ending pursuit of finding that perfect lipstick, or that holy grail moisturiser. How many full sized products are lying at the back of your vanity, untouched, unloved? A beauty box is a great way to discover and test beauty products without investing in full sized ones. It’s a guilt-free indulgence that’s definitely going to please your inner hoarder. And honestly, who doesn’t love a package with amazing beauty products? Think of the box as a gift from you, to you! Not sure we needed to convince you anymore, but now that you’re on board, check out the POPxo Beauty Box. 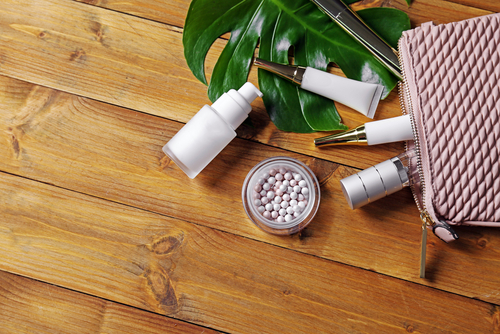 Contrary to what you may think, beauty boxes don’t always give you tiny, miniature products that make it hard to determine their efficacy. And if you think that they only carry brands that aren’t up to the mark or brands that you’ve never heard of, you’re wrong again. Ladies, it’s a good mix of luxury and upcoming beauty brands. 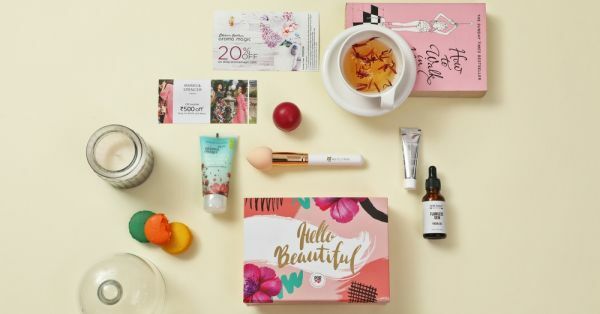 The POPxo Beauty Box comes fully loaded with 5 amazing products worth Rs 1,576 from Blossom Kochhar, Organic Harvest, MyGlamm, Souhait Essentials and Colorbar. That’s not all though, we’ve tucked in some vouchers from Marks and Spencer and Blossom Kochhar too! All of these products can be yours only for Rs 888. If you grab your box today, you can avail a 10% off and get your box for Rs 799 only!